An intimate portrait of the Earth's closest neighbor--the Moon--that explores the history and future of humankind's relationship with it Every generation has looked towards the heavens and wondered at the beauty of the Moon. Fifty years ago, a few Americans became the first to do the reverse---and Earth-bound audiences shared their view of their own planet hanging in the sky instead. 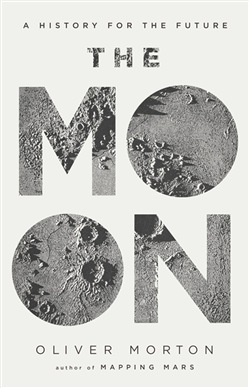 In this short but wide-ranging book, Oliver Morton explores the history and future of humankind's relationship with the Moon from the earliest astronomers such as van Eyck and Galileo through the first space flights and anticipating next phase of our interaction with the Moon, as a portal and stepping stone to further space exploration. The Moon's gentle light has spoken of love and loneliness; its battered surface of death and the cosmic. For some, it is a future on which humankind has turned its back. For others, an adventure yet to begin. Advanced technologies, new ambitions and old dreams mean that men, women and robots now seem certain to return to the Moon. What will they learn there about the universe, the Earth-and themselves? And, this time, will they stay? Acquista The Moon in Epub: dopo aver letto l’ebook The Moon di Oliver Morton, Economist The ti invitiamo a lasciarci una Recensione qui sotto: sarà utile agli utenti che non abbiano ancora letto questo libro e che vogliano avere delle opinioni altrui. L’opinione su di un libro è molto soggettiva e per questo leggere eventuali recensioni negative non ci dovrà frenare dall’acquisto, anzi dovrà spingerci ad acquistare il libro in fretta per poter dire la nostra ed eventualmente smentire quanto commentato da altri, contribuendo ad arricchire più possibile i commenti e dare sempre più spunti di confronto al pubblico online.